sound box factory, furniture factor, and etc. with the solid wood door on the market. 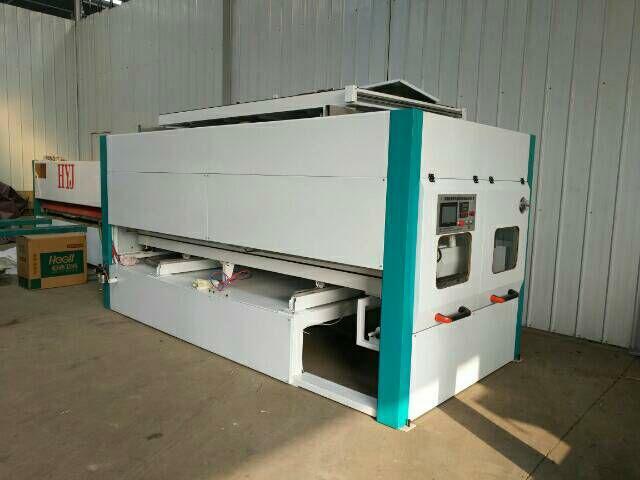 1) Our company has investigated many door factories and developed a multifunctional practical door transfer machine according to their requirements after countless experiments. 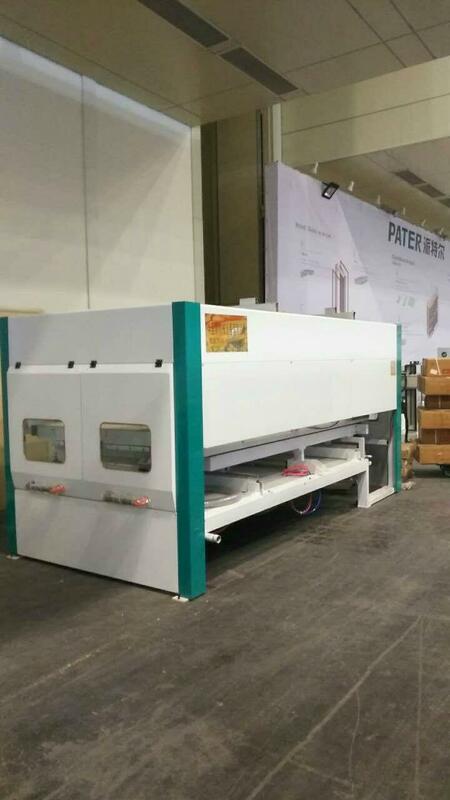 This machine is widely used and suitable for wooden door factory, cabinet factory, decorative material factory, sound box factory, furniture factor, and etc. 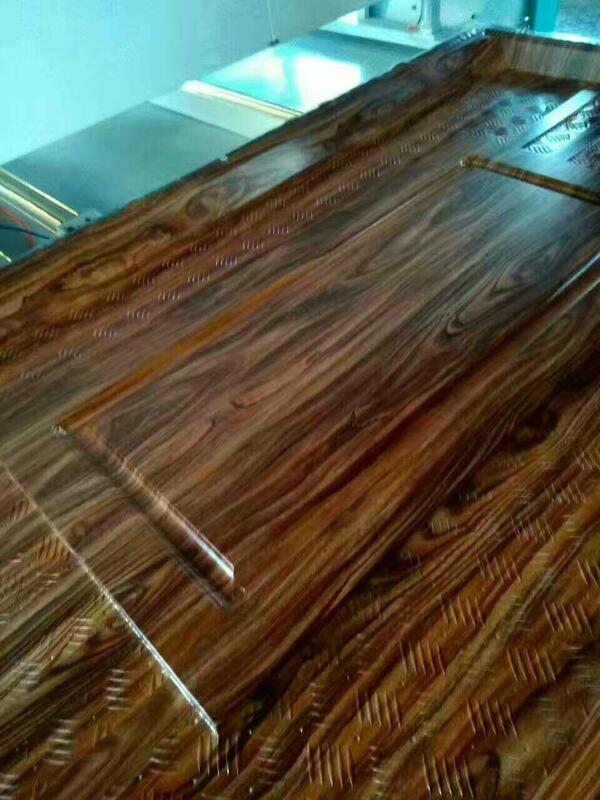 The concave convex pattern products have good heat transfer forming effect and can be compared with the solid wood door on the market. 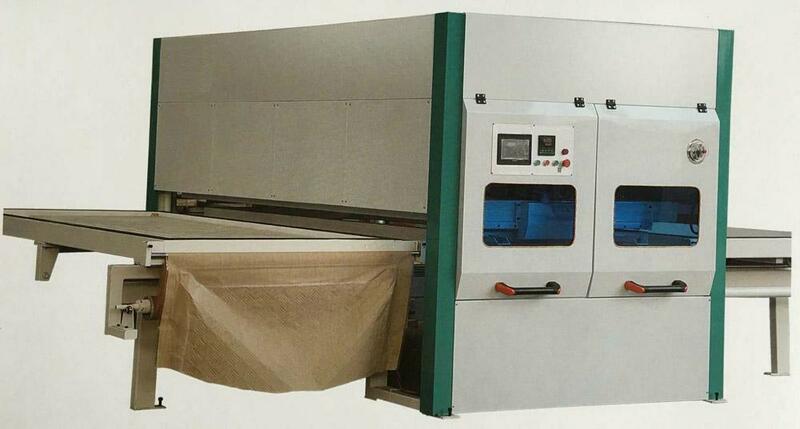 2) This CNC (Computerized Numerical Control) wooden door transfer machine can transfer products with high fidelity, no separation, no blistering and high efficiency. It can transfer a door in 90 seconds. 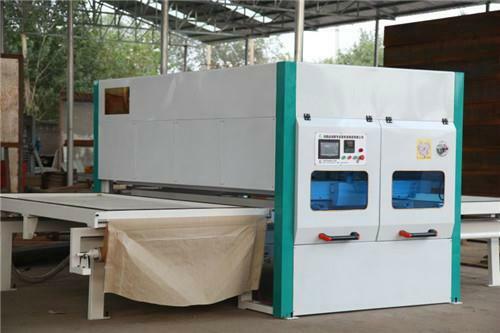 The machine especially has double workbenches that can work in turn, so that the production efficiency is greatly improved and the production cost is reduced. This equipment is easy to operate, easy to learn, performs stably performance, and deeply loved by the business owners.